Things are pretty peachy around here. And I’m not just talking about the exciting upcoming life changes. 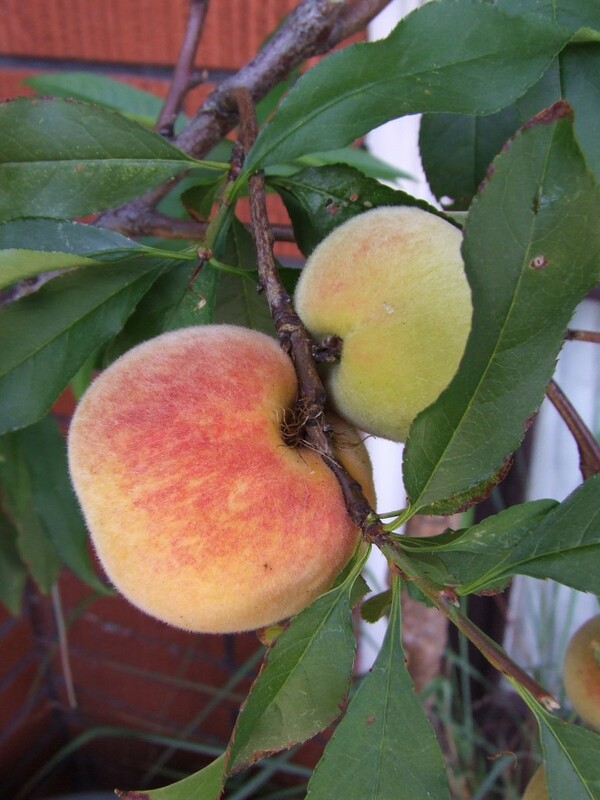 The other day I picked the first peach off my peach tree and promptly ate it. It was very fresh and tasty. There are more on the tree but they’re not quite ready yet, so I’ll have to put my paws down and wait for a bit. Grow little peaches, grow! 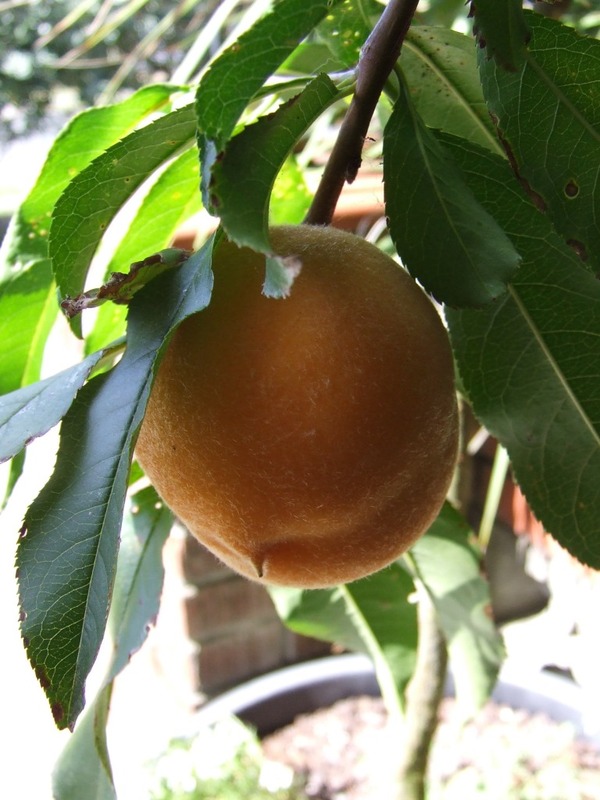 The first Golden Queen peach. More tasty little Golden Queen peaches. Sounds great. I love apple pies. And apple crumble. And stewed apple in general. I’m currently looking for another freezer so I can make more stuff with our excess produce to freeze. The fridge-freezer no longer has enough space for us! Must get big freezer. Too right! I have noticed your insane stash of apples. Nice one! What are you going to do with all your apples?